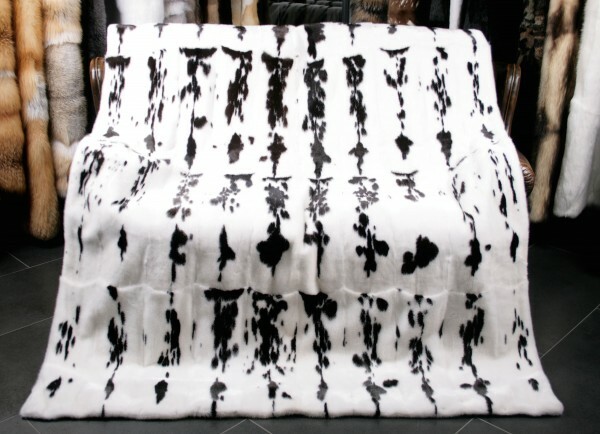 This mink blanket is another unique creation! Like all our items, it was manufactured by our team of expert furriers from the finest materials only. Every home decor will profit from an item like this! This mink blanket is for express delivery available! Worldwide delivery with FedEx. Questions? Contact us! Type of Fur: Mink "Jaguar"
The American mink is a predator species, which belongs to the family of the marten and is native to North America. The primary color of the mink fur is brown, and the hair is very dense. Nowadays different varieties of mink types are present by breeding. The jaguar mink is a mutation and is characterized by the white color with black, brown, beige or gray points. Jaguar mink fur is also ideal for dyeing, as you keep the unique drawing and color pattern. 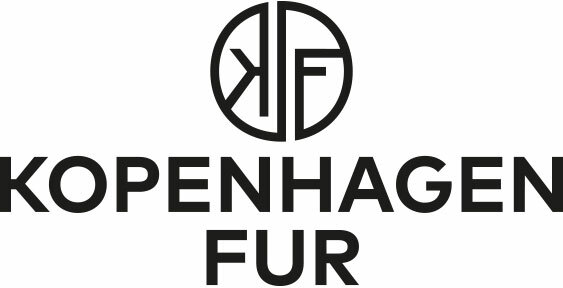 Responsible handling of the natural product fur is our concern, and therefore we buy our jaguar minks from well-known fur auctions like the Copenhagen Fur auction in Denmark. If you decide to purchase a product from Scandinavian jaguar minks, you can be sure to get a first class natural product from guaranteed flawless breeding farms. We produce jaguar mink fur covers, fur cushions, and accessories. If you have any questions or requests, please do not hesitate to contact us. Related links to "Mink Blanket "Jaguar""
Customer reviews for "Mink Blanket "Jaguar""